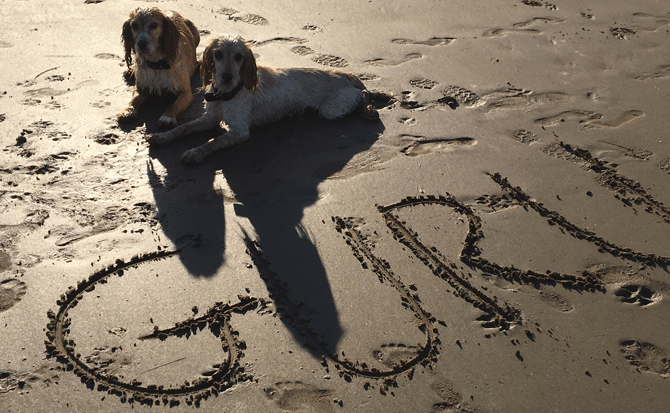 As a veterinary nurse and diligent ‘dog mum’ I feel it is my responsibility to make sure Isla, Jelli & Bracken are all fed the healthiest, most nutritious food possible. 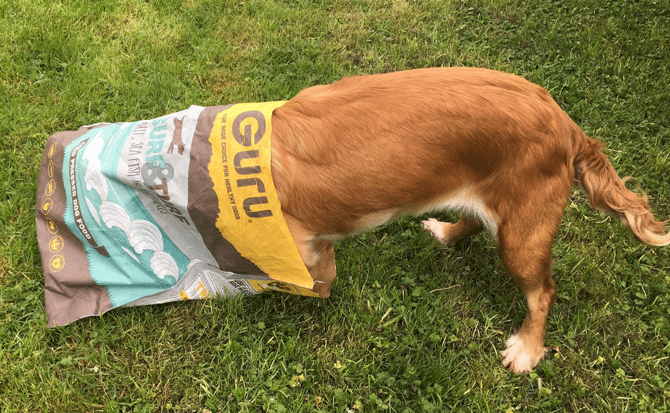 I completed a Small Animal Nutrition Certificate after qualifying as a veterinary nurse so I knew what I should be feeding and why – the problem was finding the right food! 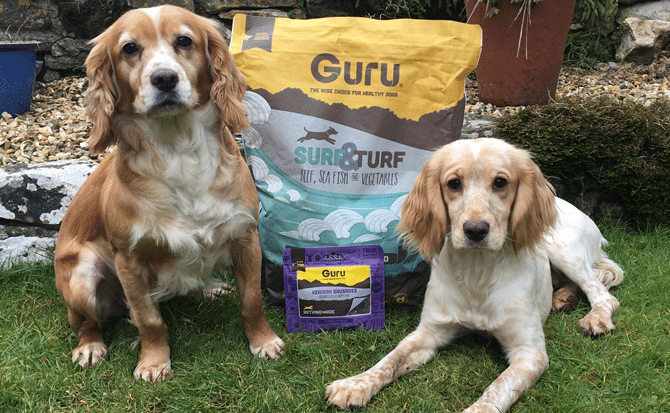 As a super active working cocker spaniel with no fear or trepidation I knew I had to find a food that would support Jelli during the critical growth stages and one she actually liked – we tried several foods that she would turn her nose up at and then found Guru – since that point we have never looked back! Jelli has reached a year old now and adores her food, the bowl is always licked clean, she has a fabulous coat and body condition and totally thrives on it. Isla and Bracken are also doing amazingly well on it. 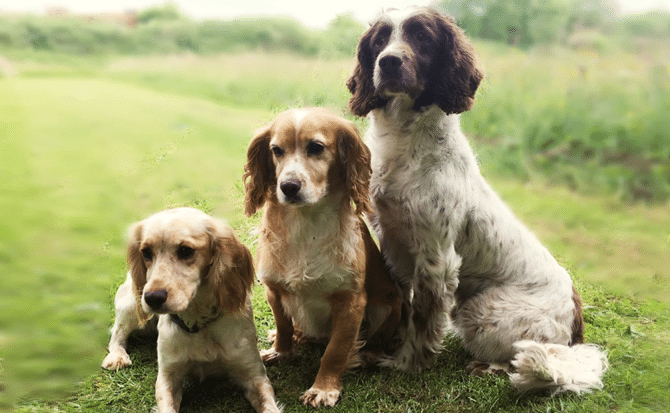 At the age of 8 Isla looks and acts like a puppy which I truly believe is down to being fed a great diet – Bracken on the other hand has always been a very lean dog and can sometimes look a bit ‘ribby’. Feeding more of his previous food just resulted in him being sick or bloating and then having a very upset tummy. Since changing him to Guru he is fitter, has put on more muscle and weight and his coat condition has improved massively! 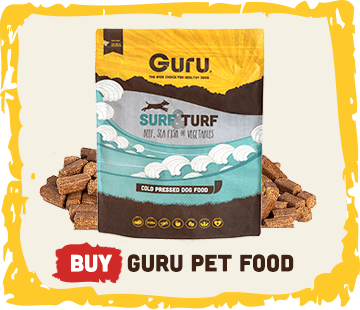 It’s great that it will feed all the dogs regardless of their age too! It contains natural ingredients including beef, sea fish, sweet potato and green lipped mussels. 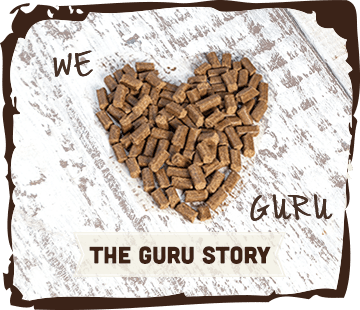 The food is pressed into a pellet form which is perfect for adding warm water and re-hydrating into a porridge – perfect for weaning puppies or for the golden oldies who need something a bit softer! 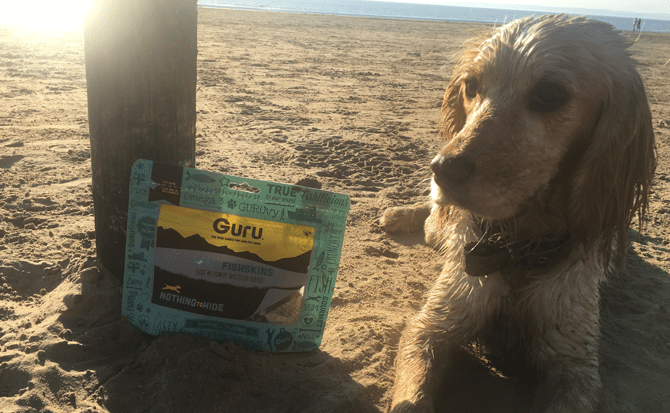 Guru comes in two flavours as well! 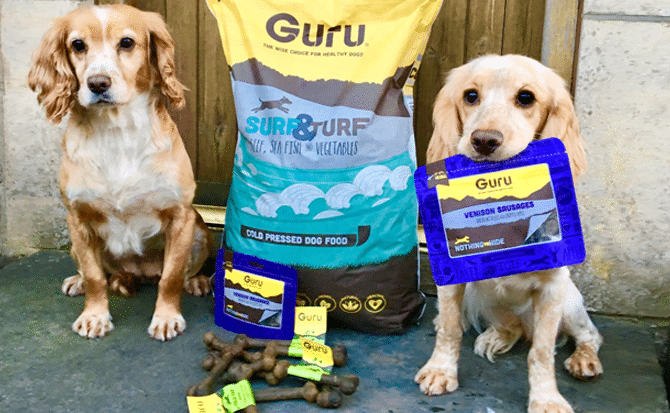 Full on Feast (think roast dinner for dogs) and Surf and Turf (our favourite) which is a blend of beef and fish! 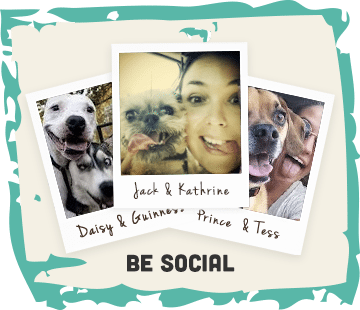 Check out their website and change the way you feed your dog today (plus add some treats into the basket cause they are super Paw-some and your dog will love them!) Plus it’s usually next day delivery!